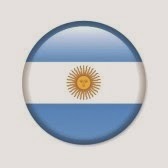 de disfrutar con esta bendita comprensión! manifestando su potencial inmortal gloria! The human being with all sincerity should try to express its inherent Divine, without fragmenting oneself as Hindu, Muslim, Jewish, Christian or with the dividing concepts. In the state of devotion for the Divinity ceases all disintegration! All have the same privilege to enjoy this blessed understanding! 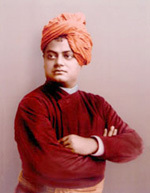 Vivekananda proclaims that the Truth will triumph, peace and harmony will reign. The human being will surely triumph manifesting its potential immortal energy!